Palmer, Helen. 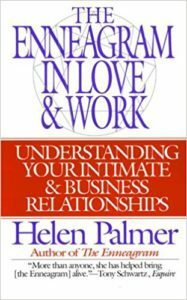 The Enneagram in Love & Work: Understanding Your Intimate and Business Relationships. San Francisco, CA: HarperSanFrancisco, 1995. A detailed look at dynamics between different Enneagram types in loving and business relationships, written from a somewhat critical point of view.